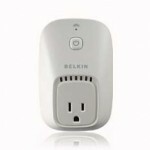 It’s no surprise I’m a huge fan of home automation and tech toys, and I recently picked up a pair of Belkin WeMo’s. You **have** to set them up with the app they supply for smartphones, but after that I hoped I could find a way to control them directly. Belkin has collected quite a few negative reviews for these devices, and it’s a shame, because the hardware seems real solid. It’s their current apps that leave a LOT to be desired. Clearly the issues they’re having getting the app side right are driving down the reviews. Fortunately, I could care less how the app experience is, since I only needed it to initially deploy the devices, and planned from the get-go to write my own code to control them. Usage is: ./wemo_control IP_ADDRESS ON/OFF/GETSTATE/GETSIGNALSTRENGTH/GETFRIENDLYNAME and the functions are pretty self-explanatory. The usual disclaimer applies. I don’t write code for a living and there’s probably gross inefficiencies and poor syntax, but it WORKS. Hi! I’ve been looking for a way to control my new Wemo with this kind of solution. I found this page but for a reason your code did not work. I get a ./wemob.sh: 23: ./wemob.sh: Syntax error: redirection unexpected -error constantly when trying to make it work. Hi Karim. Based on the line number, I think it’s a word wrap issue from the copy/paste. Make sure when you grab the code there’s aren’t extra lines due to lines being too long and wrapping. I’m still at a beginner stage what it comes to scripting. I kindly ask you, if there is any possibility, would it be possible for you to provide the readers to a “raw” file? Hi Karim. I added a direct download of the script from the site under the code block. Ouah! Thank you Rich for your help! It works like the “toilets of a train”, a finnish expression that means that it works perfectly. Now, I can really start playing around with this peace of hardware. Hi Karim. VERY glad to hear it’s working for you now. Not sure if you’ve tested with the latest firmware, but your CURL command didn’t work for me. Here’s an updated version that works. Here is what I found using packet capture on android. This request turns on my wall switch. Any idea how to turn this into an applescript? I’m on a Mac, and I’m struggling to figure out how to use the scripts posted above. Compared to Philips Hue, WeMo is really frustrating, which is odd since it’s so much simpler of a device. Your can run the shell script from an applescript using the “do shell script” Applescript command. Everything else you would type on a the command-line goes between quotes after the do shell script Applescript command. I have just started a forum for people who are interested in directly accessing and controlling a WeMo and as a place to collate and store relevant information. Do please take a look and contribute as you are able. Would be particularly keen to hear from anyone who has successfully downloaded the rules (program). I’m guessing the issue is the port. I’m on OSX. How can I figure out what port my WeMo is using? Great script! I’ve modified it a bit, and have added some new features as well as fixed some bugs. * There was a typo in GETFRIENDLYNAME; you were actually using SetFriendlyName in the actual command and so were always setting the WeMo’s friendly name to “Pool Filter”. Should exister an option to Reboot, this is for the case that the WIFI is connected to Wemo .. do not you think? Can’t believe how bad the app is! even the new one. Donald, thanks for make the script available. I tried it and it worked well. But later when I tried again, it doesn’t respond. In the meantime I can still use the Android app to see the state and control WeMo. I have two WeMo switches. One may work but the other doesn’t. I haven’t found out why. Sometimes they both works. I can always ping them. The firmware version is WeMo_US_2.00.4494.PVT, same for both WeMo switches. The script did not paste correctly above due to HTTP tags but you get the idea with the gssdp-discover which I combined with friendly name query from your script. As I said I can email the two scripts. Has anyone tested this code with a Wemo Light Switch? I’ve confirmed that the same code that’s used to control Wemo Switches also works for Wemo Light Switches. I am doing a project using the WeMo Insight. So I was using the curl script on moderntoil.com. Hence can I request you to email me the discover script and the modified control script so that it can ease my work a lot. I’ve just bought a Wemo and i’m looking for a script that controls it from my raspberry. Awesome script, i was playing around with it recently, but just after the last update in the last week or so, my wemo seems to have stopped responding to calls from this script or curl calls. Any one else experience the same? Mirx, I wonder if that’s why I’m having trouble too. I was coming here to ask for help. Nothing happens. I know the IP address is correct. I specifically assigned it in order to prevent it from changing. I know my WeMo works. I can trigger it on & off with my iPhone or with the WeMo Toolbar Mac app I found on the web. Also, if I mistype the command (OFFG instead of OFF, for example), I a COMMAND NOT RECOGNIZED error, which tells me the script is functioning. But none of the commands are working. If I enter /usr/local/bin/wemo 10.0.1.7 ON in Terminal (without the http://), it stalls for quite a while before eventually returning as if it did nothing (or, if I enter a mistyped command such as ONG instead of ON, it stalls for quite a while before returning with COMMAND NOT RECOGNIZED. I mention the part about mistyping a command in order to show that the script is obviously installed and seems to be functioning. Ah, forget it. I installed Ouimeaux, and it works like a charm. I have also added the additional function to “TOGGLE” so if the switch is OFF it turns ON and if ON it turns it OFF. Has anyone had any luck using the new wemo long press feature in the light switch? I can’t seem to find the section of the SOAP api that controls/detects when it is pressed. I’m having an issue with this script. Every time I run it, the device accumulates a FIN_WAIT_2 state that I see when I run netstat. Every call to the script generates a persistent connection that just hangs, waiting to be closed. From reading about the FIN_WAIT_2 state, it seems that it’s waiting for a signal (ACK?) to come back. Could someone amend the script to clean up the leftovers on the device? First Thanks to everyone who put this tool together. I have modified this script to fix the PORT parameter not working and add support for WeMo Link LED Bulbs. Loving the work you folk have done for controlling our wemo’s. I wish I had the coding skills many of you have. Any chance of someone providing some code or editing existing an existing script to obtain the status of a Wemo Maker sensor (triggered/not triggered)? It looks like the newest firmware (2.00.9399) breaks the script, hanging on the PORTTEST line. Hard-coding the port number (49153 for me) gets it working again. Hi Michael, could you post your working script somewhere because I’m not that good in coding. Great job guys!! Appreciate the work. This is the only way I got Tasker to function with Wemo in a way that is consistent and immediate. Anyone having luck with this script on .98xx series firmware? I just get “Unknown option”. Using mine as a bandaid solution for a host that randomly dies and need hard reboots now and then. This works perfectly with my WeMo Insight. Thanks for this! I’m using it with ha-bridge, now I can control my mix of hue, wemo, and x10 lights with Hue apps. I haven’t yet bought a WEMO insight. I was planning on buying one and using “wemo_control.sh” to control it and measure power consumption watt-hour through it. If it works, I would like to try designing a smartphone app for it. So my question is… Would a standard WEMO insight off the shelf work fine with this shell? If not, Is there a particular model number that this shell works on? I am able to connect to the Wemo and get the state, signal strength, and name. Does anyone know how I would go about getting the Power usage in watts? I would love to be able to request from the Wemo how much energy is currently being used at this moment. Does anyone knows what is the request to get the power consumption of a wimo insight ? It is 11/21/2018 and this script is working great for me, thank you for it! This script worked very well on my esp8266 emulating a wemo device. Had to change the port to the actual port I am using. Apart of that, well done my friend. Great post and thread comments. And the c# implementation, have to look into it. need a few mods for my liking, but thanks also it is a great start. I wanted to get the GetPower Property which is mentionned here and there but I never managed to get it working. I’d like to say thank you to rich for his brillant inspiration.